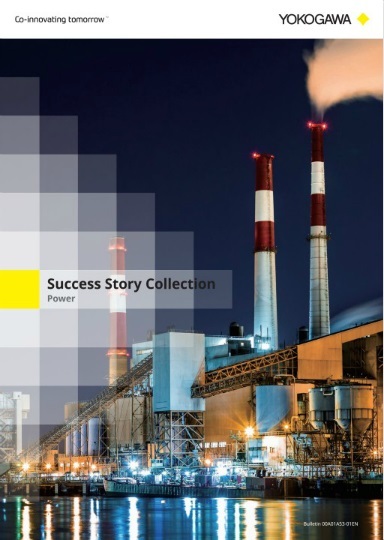 Power | Yokogawa South Africa (Pty.) Ltd.
Yokogawa has operated the global power solutions network to play a more active role in the dynamic global power market. 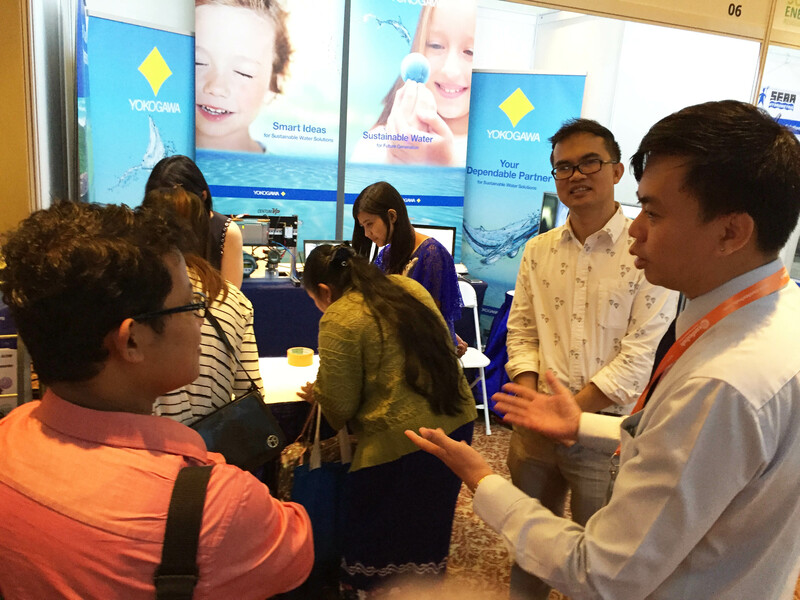 This has allowed closer teamwork within Yokogawa, bringing together our global resources and industry know-how. 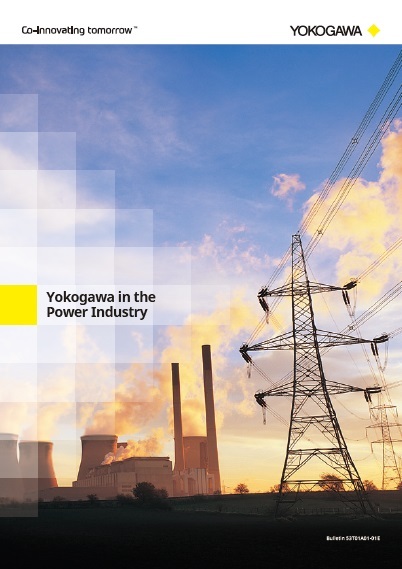 Yokogawa's power industry experts work together to bring each customer the solution that best suits their sophisticated requirements. Nuclear power accounts for 11% of the world's electricity today. There are over 440 commercial nuclear power reactors spanning 31 countries providing continuous and reliable base-load power without emitting a single foot print of carbon dioxide gas. Nuclear plants all over the world count on Yokogawa's high reliability and availability to keep the plants running safely. 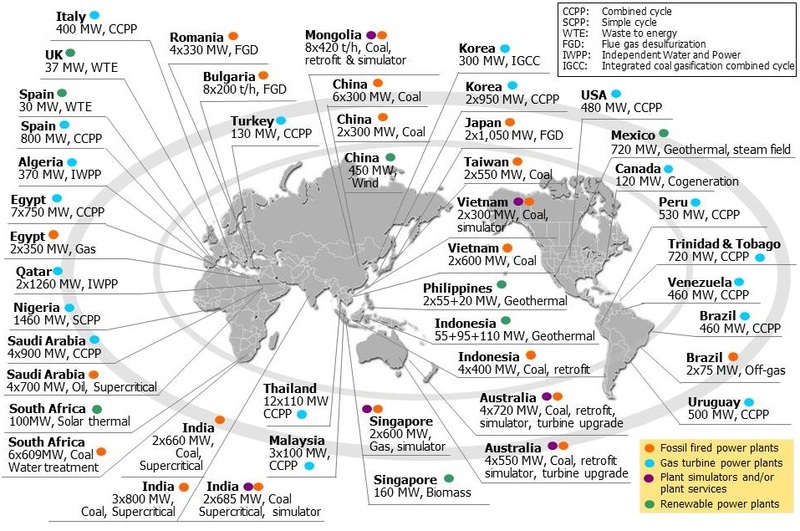 Thermal power using coal, oil or gas as fuel accounts for the majority of electric generation throughout the world. The combined cycle power plant is being installed in increasing numbers around the world where there are substantial supplies of natural gas. Cogeneration or combined heat and power (CHP) is an efficient approach to generating power and thermal energy from a single fuel source. The use of renewable energy protects the environment and takes both society and industry closer to the goal of achieving sustainability. However, compared to conventional energy sources, there are certain challenges that stand in the way of its rapid adoption, such as higher production costs and greater instability in the supply of power to the grid. 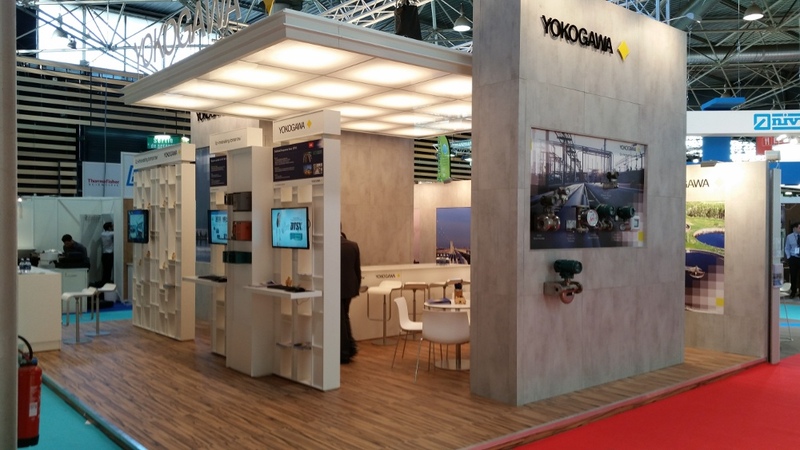 As a leading company in the control and instrumentation business, Yokogawa has always striven to help its customers in various industries achieve stable operations and improve productivity in their plants. Based on our VigilantPlant concept for attaining operational excellence, we are providing solutions that pave the way to the use of renewable energy sources. October 7, 2014 Yokogawa Wins Control System Order for a Waste-to-Energy Facility in Cornwall, U.K.
Abu Dhabi National Exhibition Centre, Abu Dhabi, U.A.E. The input and output (IO) modules for turbomachinery control applications provide powerful features for the high-speed control and protection of turbomachinery. They have a highly reliable dual redundant configuration and an intermixed signal interface for handling both analog and digital data. The IO modules come in two types, providing a comprehensive control solution for the power generation industry. The Servo Module is designed to control turbine speed by interfacing with specific sensors and actuators to manipulate steam and fuel control valves. The High Speed Protection Module is designed to protect the turbine from overspeed and other critical conditions by shutting steam and fuel valves. CENTUM VP, an advanced DCS meets the requirements of thermal, combustion turbine and renewable power plants. CENTUM VP is in use in many power plant operations and has proven its expandability, stability, performance and reliability. 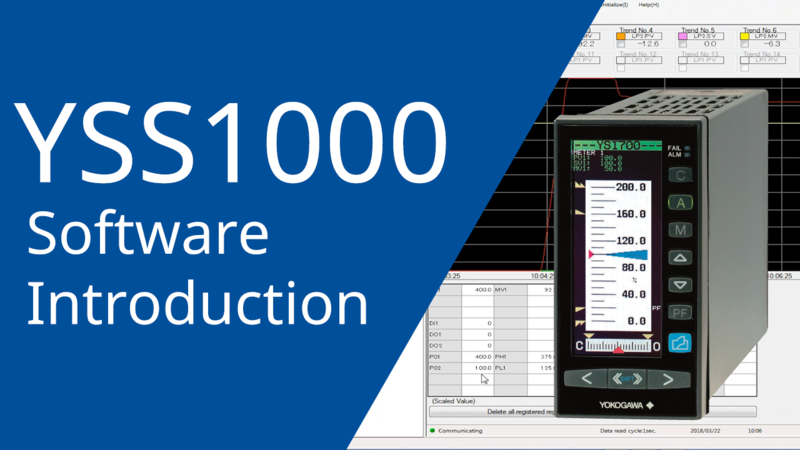 With Yokogawa, you can leverage a full-scale high-fidelity power plant simulator (>99% steady state; 95% dynamic state) that allows custom-made training for your unique plant. Yokogawa simulators serve a diverse range of customers worldwide operating fossil fired, gas turbine, and co-generation power plants. We deliver full replica simulator systems that cover the entire power plant, no matter whose control system your plant deploys. Flexible training scenarios can help operators handle the entire plant control with full confidence and agility. Conducting control loop testing and tuning on the simulator keeps risk to a minimum and ensures a smooth plant commissioning process. The simulator's ability to reproduce plant behavior can be utilized to identify modifications to operating procedures and to optimize plant operation. Yokogawa power plant simulation system brings you stunning 99 % accuracy (>99% steady state; >95% dynamic state). *Vietnam National Petroleum Group, also known as Petro Vietnam. PVN is the biggest economic group in Vietnam and owns power plants. Our commitment does not end with the completion of your strategic projects. Based on our overall consideration of your plant lifecycle, Yokogawa provides consistent and reliable services. Best of all, Yokogawa power services (TechComm), a wholly owned Yokogawa subsidiary has the capability to provide an extensive range of services in the areas of operator training, commissioning, plant operations, and maintenance. 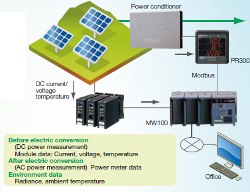 The community energy management system (CEMS) at F-Grid Miyagi efficiently supplies electricity and heat to the industrial park. During the two-year demonstration experiment, costs were reduced by 20% compared with the past. 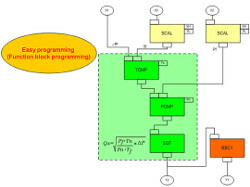 The NEP Solar team developed the control strategy and the Yokogawa engineers programmed the controller accordingly. The FAST/TOOLS software could be installed on the notebook PCs used by the development team, eliminating the need for costly dedicated servers. Aboitiz Power Corporation is a holding company that was set up by the Aboitiz Group to oversee its investments in power generation, distribution, retail, and services. The company owns and operates several hydroelectric and geothermal power plants as well as a number of non-renewable power facilities throughout the Philippines. It also owns distribution utilities that are centered in high-growth areas in Luzon, Visayas, and Mindanao. FAST/TOOLS SCADA system to remotely monitor the optimization of the process and make any required engineering changes to the live system. 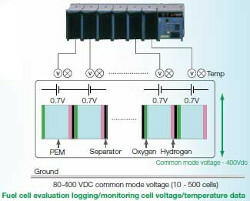 The Yokogawa control system (FAST/TOOLS, STARDOM, HXS10) monitors not only the sunlight but also the weather conditions. The visualization of data using the Exaquantum PIMS plays an important role in efforts to improve operations at this power station. 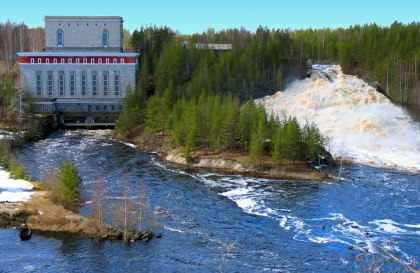 To reduce operator workload and eliminate unplanned shutdowns, HERA decided on the use of field digital technology at this power station. A robust and reliable integrated control and safety system (ICSS) made up of the CENTUM CS3000 PCS and the ProSafe-RS SIS ensures safe operations while fully automating key processes. A variety of analytical instruments accurately measure the concentrations of key components, and this data can be monitored and controlled by the Yokogawa PCS. 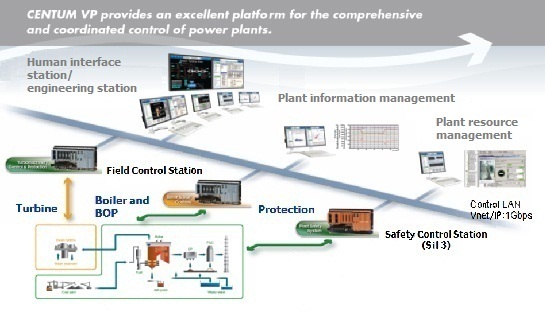 Yokogawa supplied control, monitoring, and protection systems for plant modernization. Fine engineering and Yokogawa's products made successful operation without any problem or shutdown. There was possibility to operate a power generation unit without air heater during summer due to equipment failure. 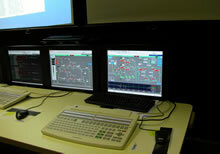 AGL Energy successfully establish safe and economical operating conditions with Plant+ power plant simulator. 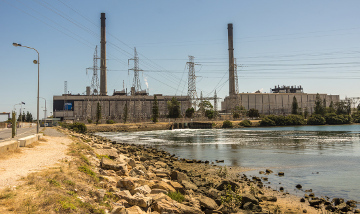 Power plant boiler houses designed to burn coal or high sulfur oil are required by Federal and State pollution regulations to "scrub" (remove) sulfur dioxide from flue gasses to meet emission limits. SO2 in flue gasses is known to be harmful to the environment, as it is one contributor to the formation of acid rain. pH control is critical for the proper functioning of the scrubber system. Cogeneration systems that improve overall energy utilization by simultaneously generating electricity and heat from a single fuel source have been in the news a lot recently. 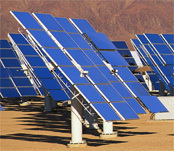 Distributed generation equipment, a type of cogeneration system, is driven by a gas or diesel engine. Advantages of the gas engine, which is widely used, include high thermal efficiency and secure fuel supply. This paper introduces the ADMAG AXR 2-wire magnetic flomwmeter solution for chilled water application in air conditioning unit. With a renewed focus on domestic energy sources and a growing interest in renewable energy, the solar industry is anticipating new demand for photo-voltaic solar panels (Solar PV). Hot rocks and water come together in select areas to produce renewable energy. 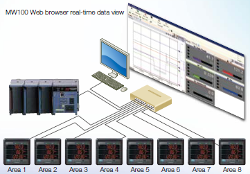 CX2000s networked to US/UP controllers provide primary control with distributed backup control for steam turbines. Industrial hydrogen fuel cells can be used to produce hydrogen and oxygen from distilled water as well as run in reverse to generate electricity. Fuel cells can also be used in conjunction with intermittent energy sources like solar or wind to provide regulated continuous energy output. 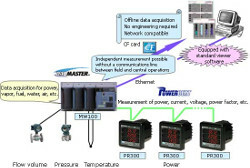 MW100 and PR300 system measures and quantifies the electrical energy consumption for each assembly line. One of the primary applications for high purity water is for boiler feed water. The measurement of pure water pH can be one of the quickest indicators of process contamination in the production or distribution of pure water. Effective chemical treatment of the feed water is vital in maintaining the useful operating life and minimizing maintenance costs of the boiler. The proliferation of microorganisms and the resultant formation of slime is a problem which commonly occurs in aqueous systems. Problematic slime producing microbes may include bacteria, fungi and/or algae. Slime deposits typically occur in many industrial aqueous systems including cooling water systems, pulp and paper mill systems, petroleum operations, clay and pigment slurries, recreational water systems, air washer systems, decorative fountains, food, beverage, and industrial process pasteurizers, sweetwater systems, gas scrubber systems, latex systems, industrial lubricants, cutting fluids, etc. Wet scrubbers are used in utilities, paper mills, and chemical plants to remove sulfur dioxide (SO2) and other pollutants from gas streams. Undesirable pollutants are removed by contacting the gases with an aqueous solution or slurry containing a sorbent. The most common sorbents are lime, Ca(OH)2, and limestone, CaCO3. Chemical plants, nuclear power plants, and large-scale engineering systems including railways and aircraft must be operated at least safely enough so as to not affect the surrounding environment. Furthermore, it is apparent that even only one accident or problem becomes the target of fierce criticism from the general public, as seen in the response of people to the accident of the Fukushima I Nuclear Power Plant of the Tokyo Electric Power Company and the problems with Boeing's 787 jetliners. Combustion furnaces such as heating furnaces and boilers in plants include various sizes and types, and serve as energy sources, that is, they are cores in all production activities. Because a large amount of fuel such as gas or fuel oil is consumed in plants, their combustion efficiency directly affects the performance and running cost of the plants. 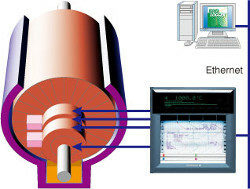 A laser gas analyzer employing the tunable diode laser absorption spectroscopy (TDLAS) method has a feature capable of measuring the concentration of the sample gas with high selectivity for gas components and without contact only by irradiating the gas sample with light from a tunable diode laser. Thus fast and accurate in-situ measurements can be performed in process lines under various measurement conditions. The Coriolis flow meter has many features such as direct measurement of mass flow and measurement of fluid density, which other flow meters do not support. Therefore, since being introduced for practical use in the late 1970s, its market has rapidly expanded in many industries such as oil, chemicals, and foods. The environment surrounding the process plant industry has changed dramatically because of the recent economic changes, deregulation, and increasingly fierce competition among global companies. Users are strongly requesting instrumentation equipment vendors to reduce total cost throughout the life cycle and help improve the efficiency of plant operation. With the recent rapid advancement of technology, user equipment has become more and more complicated, diversified and faster. 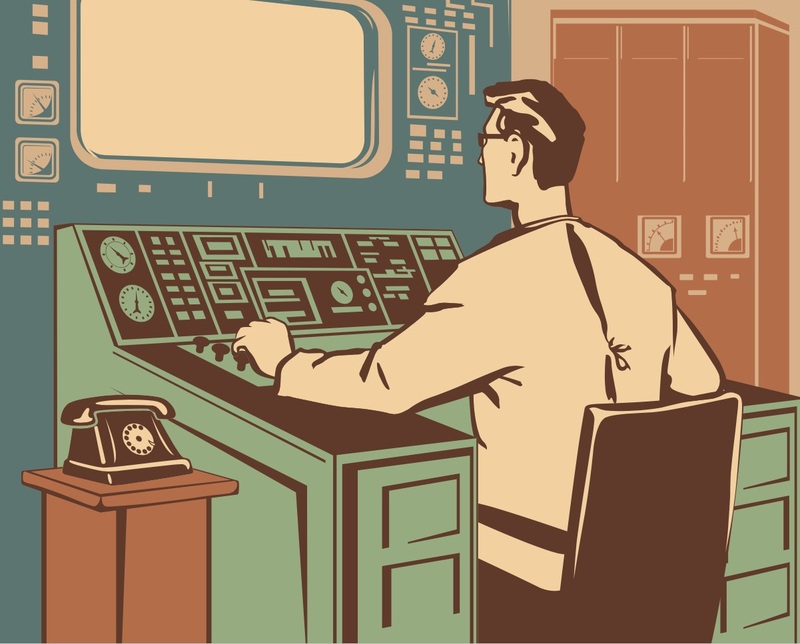 This has been imposing an increase in engineering costs and increasingly many users require devices facilitating customization and the reuse of past resources (legacies).